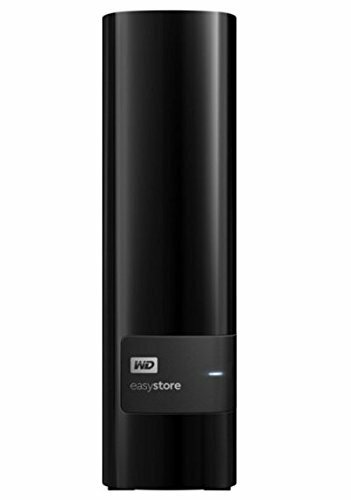 Store files securely on this 4TB Western Digital hard drive. It comes several pieces of utility software installed for ease of use, and it backs up files automatically so you don't have to. This Western Digital hard drive is USB 3.0 compatible for transfer rates up to three times faster than compatible drives. Easystore software installed for ease of use: Allows you to configure, manage, and diagnose your drive. Automatic backup: WD Backup software works quietly in the background to help preserve your data using minimal PC resources. Select automatic, continuous or scheduled backup option to instantly back up your files.